Bahrain Kuwait Insurance Company (B.S.C.) was established in 1975 with Bahraini and Kuwaiti shareholders. By virtue of its shareholding structure, BKIC is allowed to operate as a national insurance company both in Bahrain and Kuwait, the only company to enjoy such a privilege. The current paid up capital of the company is BD 14.3 million and the number of shareholders is nearly 3,742. 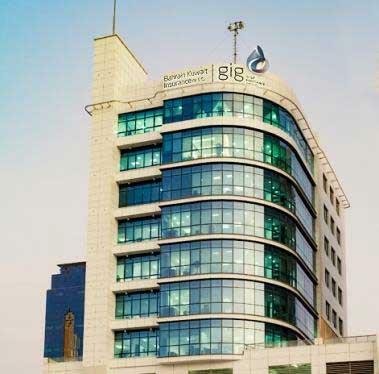 Gulf Insurance Group (gig), which is owned by Kuwait Projects Company (KIPCO) and Fairfax Financial Holdings Limited, became the largest shareholder of the BKIC in 2008, with a share of 56.12% currently. BKIC is involved in all classes of insurance with the major categories being Fire, General Accident, Engineering, Marine, Motor, Group Life and Health. Over the last forty years, BKIC has enjoyed steady growth in various areas and built a solid relationship with its customers on mutual trust, integrity and financial strength, and has grown to occupy a leading position in the Insurance Industry in Bahrain. The Company's quest for growth has gone hand in hand with its commitment to social causes. Apart from providing financial contributions to various institutions, the company has actively participated in social awareness campaigns. The success of the company can therefore be measured in terms of the overall stakeholder value that has been created, be it for the customers, the shareholders, the employees or the society at large. BKIC's Social commitment is well manifested in the architecturally elegant pedestrian bridge that has been put up on the King Faisal highway. BKIC prides itself on being in the forefront of training and development of its employees. The staff of BKIC enjoys enviable reputation for their solid technical knowledge and professionalism. Bahrain Kuwait Insurance Company acquired 81.9% of Takaful International(TIC) and TIC now became a subsidiary of Bahrain Kuwait Insurance Company.